It's easy to create professional-looking highlight flowcharts thanks to Edraw. In the Flowchart category, you can double click the Highlight Flowchart thumbnail. Then the relative highlight flowchart templates will be opened in the symbol panel. Edraw's highlight flowchart library provide a number of ready-made highlight flowchart shapes such as arrows, lines and stencils which can be used for creating new flowcharts. These sets form a flowchart library or template file. 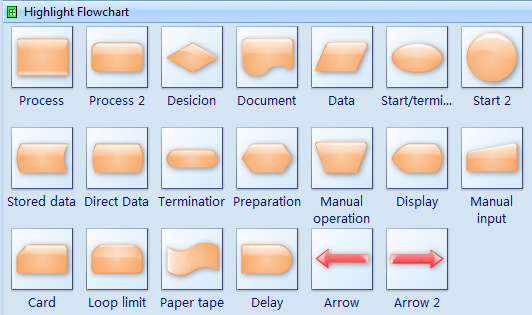 Therefore, a library or a template file is a collection of shapes used under different topics such as flow chart, basic shapes, computer network and so on. 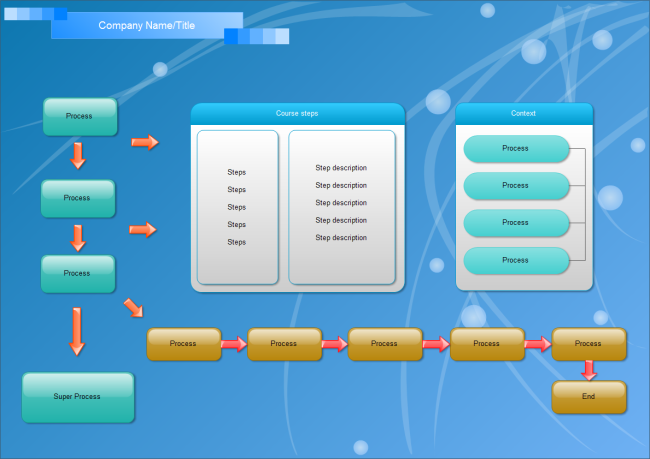 The flowchart template that is most similar to your project can be simply selected and customized to meet your needs. The above shown shapes are smart ones with flexible editor allowing easy editing. Just drag and drop pre-drawn symbols and then point and click to generate more shapes. Here is a well-designed highlight flowchart in vector format for free download and print. Find more highlight flowchart examples and choose one as a template. Drag the shapes from the highlight flowchart template, then double click the shape to edit the text. Use the Connector Tool to connect them. Double click the connector to edit the text in the smart connector. All the highlight flowchart shapes can be recolored. You only need to select them and then change the fill color. For more detailed guide, read the article Create Impressive Highlight Flowcharts Instantly. See the following highlight flowchart Example. A highlight flowchart template has been created and presented for your use, making it a snap to create flowcharts. Find flowchart examples that will help you understand better about flowchart. 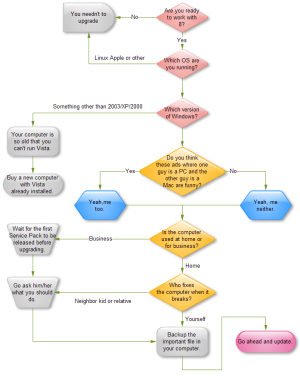 There are many quality flowchart examples right in the software which you can just take as templates. Lots of people love Edraw's extensive symbols and examples that they would rather abandon Visio and choose Edraw instead. 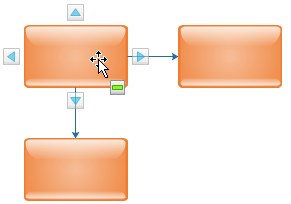 Edraw never disappoints to use as a Visio alternative for flowchart.